New Zealand Deputy Prime Minister Winston Peters speaks to the media after an emergency session of the Organization of Islamic Cooperation's executive committee, in Istanbul, on March 22, 2019. 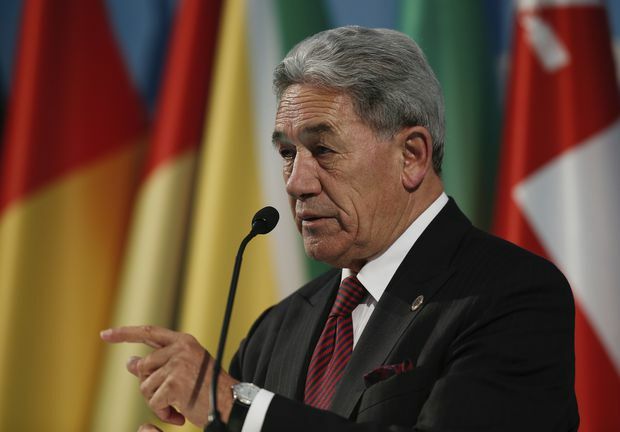 Winston Peters was speaking at an emergency session of the 57-member Organisation of Islamic Cooperation’s executive committee called by Turkey to combat prejudice against Muslims in the wake of the attack. Mr. Peters’s attendance comes amid controversy sparked by Turkish President Recep Tayyip Erdogan who, at election campaign rallies, has been screening video clips of the attack, despite efforts by New Zealand to prevent the video’s spread. Mr. Erdogan also drew Australia’s ire for comments, suggesting that Australians and New Zealanders with anti-Muslim sentiments would be sent back in coffins like their ancestors who fought against Turks in the First World War Battle of Gallipoli. Mr. Peters took a conciliatory tone on Friday, welcoming comments by Turkish Foreign Minister Mevlut Cavusoglu, who said at a news conference at the end of the OIC meeting that Australians and New Zealanders visiting Turkey would still be greeted warmly at Gallipoli remembrance ceremonies next month. “We are returning home to New Zealand with a grateful assurance that our people will come here to commemorate Anzac and will be as welcome as they always were,” Mr. Peters said. Mr. Peters said, however, that he didn’t discuss Mr. Erdogan’s use of the footage with Turkey’s Foreign Minister or President, though it was widely expected that he’d raise the issue. Later on Friday, Mr. Erdogan again showed an excerpt of the video at an election rally in the central city of Konya. “I did not see any sound, peaceful purposes in raising it,” Mr. Peters said, adding that they had received “very assuring information” from the Turkish presidency. Brenton Harrison Tarrant, a 28-year-old Australian, was arrested and charged with murder in the New Zealand mosque attacks. Mr. Tarrant livestreamed the attack and released a manifesto describing his white-supremacist views and how he planned the shootings. Addressing the OIC meeting Friday, Mr. Erdogan praised New Zealand Prime Minister Jacinda Ardern, saying her “reaction, the empathy displayed and her solidarity with Muslims” should serve as an example to all leaders. Mr. Erdogan slammed populist politicians who he said encouraged attacks on Muslims and refugees. “Politicians who pave themselves the road to power by alienating Muslims and creating enemies out of refugees, must pull themselves together,” he said.